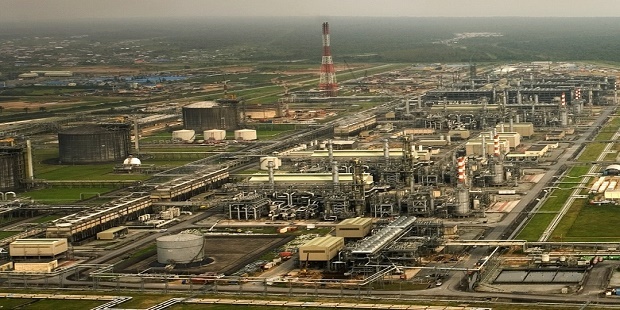 The Department of Petroleum Resources, Nigeria’s regulatory agency for the petroleum industry, is awaiting signal of the President and Minister of State in Abuja to start the process of conducting a bid round of some of the country’s 178 flare gas sites. It’s the first major implementation of the new legal framework on flared gas reduction, signed by President Buhari in July and gazetted in early September 2018. The Flare Gas Reduction (Prevention of Waste and Pollution) Regulation 2018, weighs strongly in favour of “The Qualified Applicant” for Flared Gas. That so called Qualified Applicant is a company who wins in a bid round of flare gas sites. The thinking at the Ministry of Petroleum Resources is that there are many companies out there who want to monetize Nigerian gas, but lack access to the molecules, whereas a lot of operators are wasting the value of natural gas assets by flaring. South Africa’s updated Integrated Resource Plan IRP, released late August, contains provisions for introduction of natural gas to produce 11,930MW of electricity in the country by 2029. That’s around four times the allocation of gas to power in the energy mix provided in the last incarnation of the IRP, gazetted in 2011. This “allocation” of natural gas fuelled energy, expected to provide 15.7% of installed capacity in 8-12 years’ time (2026-2029), is the most forceful, formal endorsement of natural gas investment into Africa’s most industrialised economy. The IRP calls for the gas generated electricity to be used in conjunction with 7,958 MW of solar PV and 11,442 MW of wind PV energy (10.5% and 15.1% of installed generation capacity respectively) by 2030. There are over 4,000MW of these renewables already connected into the South African energy grid. The rest are planned to be rolled out annually, with a gap around 2022 to 2025. So, whenever natural gas is used in the South African electricity the thermal plants will be run in such a way as to be deployed and withdrawn from the grid at relatively short notice, according to the IRP, to balance wind and solar energy, the availability of which is dependent on weather conditions and time of day. The planned new gas and renewable energy are coming to replace some of the existing coal fleet, which are going to be progressively decommissioned. South Africa’s total electricity generation in the next decade is not expected to be more than incrementally higher than the current 35,000MW operated capacity. It’s important to note that this is just a plan, whose implementation depends on the growth trajectory of the economy and the accessibility to the resource itself. South Africa’s economy has tanked. The country is not in demand of energy as much as it was only five years ago. To generate 11,900MW requires 3 Billion standard cubic feet of gas a day. There is also no clear line of sight to where that volume of hydrocarbon will come from. South Africa’s technical and bureaucratic elite often talk as if the vast reserves of gas in Mozambique are their country’s for the asking. The most widely canvassed option of accessing the molecules is to import Liquefied Natural Gas from the North Eastern neighbour. But that is expected to happen after a South African bid process for Gas to Power IPP, in which the winner/s is/are expected to bring in the gas through any of two designated ports in the country and then pipe to turbines. 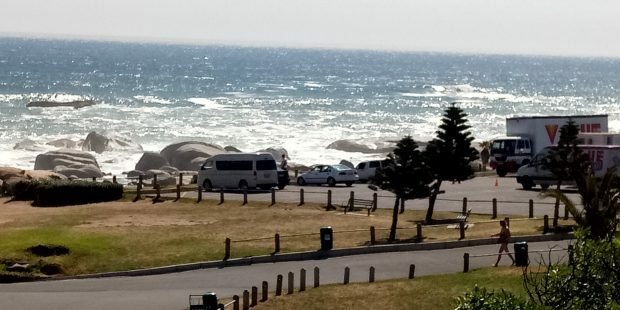 Neither of the two ports, Coega in the Eastern Cape province and Richards Bay, in Kwazulu Natal, currently has infrastructure for receiving natural gas. The LNG import can only be accessed through a deal with either ENI or Anadarko, who, in developing the three export LNG projects in Mozambique, are currently talking to a number of offtakers, none of which is likely having South Africa on its radar. Another option is to import the gas through a pipeline, no less than 2,000km in length, but what most commentators fail to consider is that none of the LNG developers in Mozambique today is licenced to supply gas into a pipeline. Such supply will not be available until Mozambican government concessions it and that’s unlikely before 2030. The highest production that the Nigeria Liquefied Natural Gas (NLNG) Ltd has delivered to the market in one calendar year is 21Million Tonnes (21MMTPA) and that was achieved in 2017. “From a production stand point, 2017 was our best year. 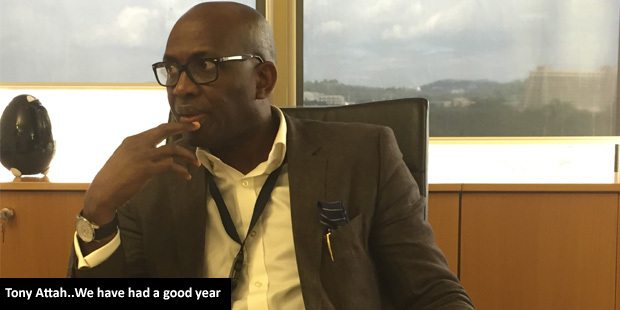 That was the year that we produced the highest volume ever and we delivered 21Million Tonnes and slightly more”, Tony Attah, NLNG’s Chief Executive Officer, told Africa Oil+Gas Report. “That was the record year for us as the highest volume that the NLNG has ever delivered to the market in a calendar year”. The NLNG’s six trains can collectively deliver 22Million Tonnes in a year, which means that 22MMTPA is the nameplate capacity. “You start looking at name plate capacity versus what we are actually delivering”, Attah, who is in his second year on the job, told us in an exclusive interview. “I think overall, we are optimizing all the bottle necks in the plant to be able to do more. Today, we are really around what is re-rating to 66,000 Tonnes per day capacity plant. We are improving within our capacity in terms of operational flexibility and possibility to keep pushing the envelope”, he explained. Although 22MMTPA has been the nameplate capacity since the installation of Train 6 in 2008, several challenges, including gas supply adequacy, sabotage of supply facilities, even logistics issues such as the company’s 2015/2016 face-off with the Nigerian Maritime Administration and Safety Agency (NIMASA), all have acted as downward pressure on optimum output. The NLNG Ltd, incorporated in 1989, commissioned production in 1999, with the first train having a nameplate capacity of 3.2MMTPA. The base project, Trains 1 and 2 collectively have the capacity to deliver 6.4MMTPA. Train 3 is another 3.2MMTPA plant. Trains 4, 5 and 6 have capacities of 4.1 MMTPA each. The proposed Train 7 will be twice the size of the largest of these six trains. The full interview is published in the October 2018 issue of the Africa Oil+Report, which focuses on Africa’s Midstream projects and the continent’s Refining Gap. 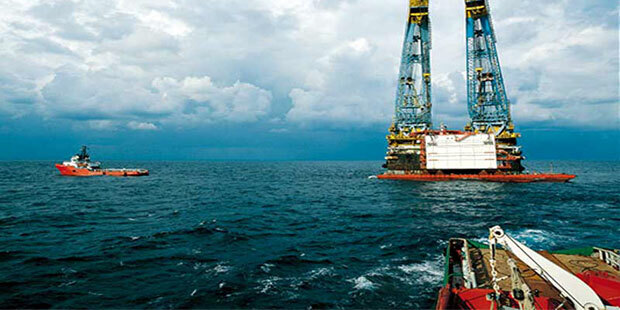 Egypt’s Zohr field, discovered by ENI in 2015, is now producing 2Billion standard cubic feet per day (2Bscf/d), “equivalent to approximately 365,000 BOEPD, according to the Italian explorer. “This outstanding result has been achieved only a few months after the first gas in December 2017 and one year before the schedule of the Plan of Development (PoD)”, the company gushes, in a release. 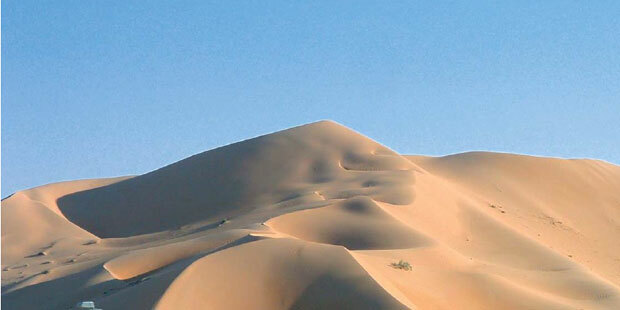 “This level of production was achieved thanks to the start-up of the fifth production unit (T4), backed by the eight gas producers and a new 30” x 218 km sealine, commissioned August 2018 and confirms the programme pursued by ENI, its partner, Egyptian Natural Gas Holding Company (EGAS) and their joint venture company Petrobel aimed to reach a plateau in excess of 2.7Bscf/d in 2019”. ENI boasts even moe: “The latest achievement reinforces the exceptional development path of the Zohr project, one of ENI’s seven record-breaking projects, which is playing a fundamental role in supporting Egypt’s independence from LNG imports”. The Zohr field, the largest gas discovery ever made in Egypt and in the Mediterranean Sea with more than 30 Tcf of gas in place, is located within the offshore Shorouk Block (some 190 km north of Port Said). In the Shorouk Block, ENI holds a 50% stake, Rosneft 30%, BP 10% and Mubadala Petroleum 10% of the Contractor’s Share (where Eni, Rosneft, BP and Mubadala Petroleum are collectivity the Contractor). 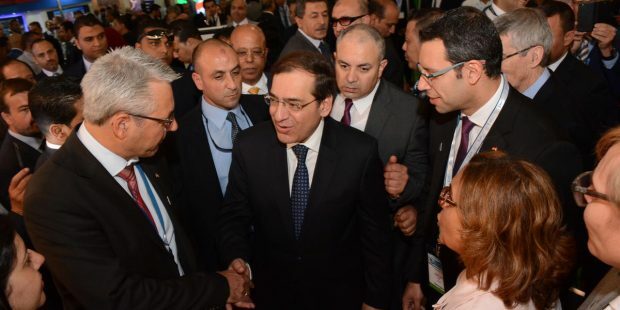 The project is executed by Petrobel, the Operating Company jointly held by ENI and the state corporation Egyptian General Petroleum Corporation (EGPC), on behalf of Petroshorouk, jointly held by Contractor (EN and its partners) and the state company Egyptian Natural Gas holding Company (EGAS). Dateline: Lagos Nigeria, February 1985…. Gamaliel Onosode, first-class technocrat, administrator and Baptist minister, was persuaded to lead Nigeria’s LNG revival campaign by President Ibrahim Babangida. 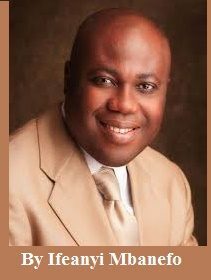 Former Chairman, Cadbury Nigeria Plc; former Chairman, Dunlop Nigeria Plc; and former Chairman, Nigeria Stock Brokers Limited, Onosode was approached by Tam David-West, then Minister of Petroleum Resources. In the course of an evening of banter at Onosode’s residence, David- West had informed him that the government was about to establish an LNG Working Committee and wanted him to serve on the committee. “I was a bit surprised because I was not an oil and gas man. 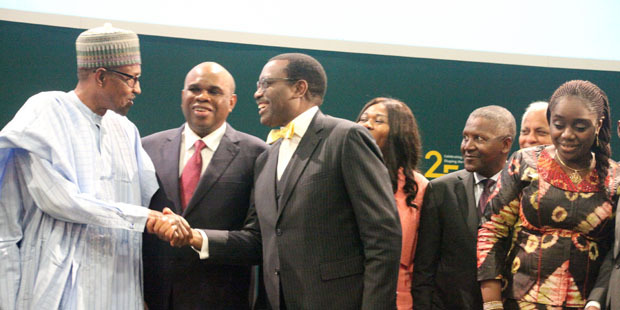 I was a banker and a manager; so I was really surprised,” Onosode recalled. But the minister persisted: “Look, those are the skills we want represented in the working committee.” Eventually, Onosode gave in: “if the government says it wants me to serve in the committee and you came all the way to my house to tell me, I will not say no. ‘I believe that is what we needed’, David West replied. Onosode faced the same dilemma that every administrator who grappled with building LNG project in Nigeria had to contend with. 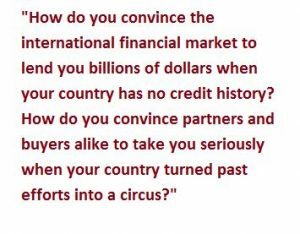 How do you convince the international financial market to lend you billions of dollars when your country has no credit history? How do you convince partners and buyers alike to take you seriously when your country turned past efforts into a circus? In the three decades before Onosode’s appointment, Nigeria made several unsuccessful attempts at building a LNG plant. Too many false starts; too many missed chances. The struggle to realise the LNG project was an epic story of wasted opportunities and tragic miscalculations, featuring an extraordinary cast of larger-than-life characters, many of them eminence grise of Nigerian politics and public service. Opportunities to sell Nigeria’s gas in Europe were lost in 1966, 1976 and 1980. Nigeria’s market shares were taken by Algeria, the Soviet Union and Norway. New openings in Europe and USA in mid 1990s might be Nigeria’s last opportunities to get into the international gas business. To realise the LNG project in Nigeria, Onosode and his team needed to find solution to almost unsolvable puzzles of how to keep the government engaged, but not meddling. Wavering government attention had been the Achilles heels of previous efforts. The committee needed to convince partners, lenders and buyers that Nigeria was committed to realising the project; that the project would be completed, not abandoned. This was not easy in a country where politicians do not speak and act with one voice. In a country where passionate rhetoric and strutting led to ruin, Onosode’s analytical detachment, sure-footed leadership and years of boardroom experience were major strengths. His integrity and unwavering morals served him extremely well in his new role. He shouldered an enormous responsibility on behalf of the state. At the inaugural meeting, the Chairman did something unusual. To everyone’s surprise, he proposed, without explaining why it was desirable, the modification of the government’s terms of reference. Onosode recalled that event years later: “I was not happy with the logical sequence of the issues set out. We reorganised the terms of reference so that we would not incorporate the Company until we were satisfied that the project was viable. So, incorporation of the Company was one of the very last things to be done by the LNG working committee. So having challenged the unorthodoxy of the approach, we all agreed and re-drafted the terms of reference and sent it back to the minister. This ensured that the terms of reference fully reflected what the government had in mind. Thereafter, the LNG working committee began the task of engineering and re-engineering the environment to make it conducive towards the LNG project. Participants were potential investors so the committee negotiated the terms of the partnership and investment. This was captured in the shareholders agreement. It took a lot of time and delicate negotiations to arrive at terms and conditions acceptable to all. ‘After that stage, we had to satisfy ourselves that we had a market for the product – liquefied natural gas’. Having reshuffled the cards, Onosode reminded the committee that its main duty was setting up the vehicle for the realisation of the LNG project. He said the early registration of the Joint venture would boost the confidence of buyers who would prefer to deal with a corporate entity as opposed to individual companies. He then requested Shell, Elf (now TOTAL) and Agip (ENI’s subsidiary in Nigeria) to state conditions under which they would go ahead with the registration of a joint venture company. This needed to be agreed upfront to avoid ambiguities and surprises. Brian Anthony Lavers, Shell’s highly influential Managing Director in Nigeria, gave three conditions for his company’s participation – market availability, execution of the shareholders’ contract and an agreeable fiscal regime. Agip and Elf supported Shell’s position. 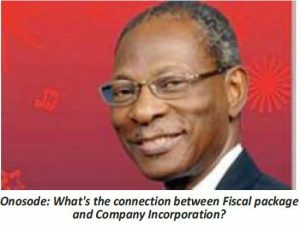 Onosode responded that he did not see the connection between the items enumerated by Shell and the proposed incorporation, adding that he had always thought that the incorporation of the Company would depend only on market availability. “It had never been anyone’s understanding that a fiscal package and service agreements needed to be in place before JVC incorporation. These should not be made pre-conditions for JVC incorporation”, he said. The lOCs stuck to their guns, insisting that they were not prepared to accept the uncertainty of not having an agreed fiscal package prior to the incorporation of the JVC. It was the responsibility of the committee to formulate and make recommendations to the government and shareholders on the fiscal regime that would govern the project, they insisted. Onosode argued that it was not the intention of government, nor did indications from first contacts with the market show that ii was desirable that the viability of the project should be dependent on government concessions. The buyers only wanted a stable source of supply. The project would have seeds of instability if the benefits and rewards accruing from it were not seen to have been fairly shared, said Onosode. He urged the oil companies to appreciate the several roles the government would play in the project- a sovereign, majority shareholder (through NNPC) saying that in both capacities the government had both ultimate responsibilities to all Nigerians. Excerpted from The Story of Nigeria LNG Ltd., by Ifeanyi Mbanefo. Published by Bookcraft, Ibadan. Funded by NLNG Ltd.
President Muhammadu Buhari has signed a new legal framework on flare gas reduction, the implementation of which is expected to lead to a government takeover of fields where flaring is taking place and a bid round of some of such fields before the end of 2018. The Flare Gas Reduction (Prevention of Waste and Pollution) Regulation 2018, signed in early July 2018, is currently being gazetted. The document seeks the reduction of environmental/social impact caused by the flaring of gas; protection of the environment; prevention of waste of natural resources and creation of social and economic benefits from flare gas capture. The regulation asserts the right of the government, under Section 9 of the Petroleum Act, to take natural gas produced with crude oil free of cost at the flare site and without payment of royalty. The provision of this regulation is applicable to all petroleum licences, including marginal fields. Two key aspects of the regulation are the outlines of Bid Processes and the Penalties for supply of inaccurate data by a producer of flared gas. The minister may, by a permit to access flare gas, authorize a Qualified Applicant selected further to competitive bid processes conducted by the Federal Government, to take Flare Gas on behalf of the government at any Flare site as specified in the permit. Any producer may apply to the minister to utilize Flare Gas for commercialization, provided that such application shall(a) exclude any Flare Gas volume that is being offered in a bid process conducted by the Federal Government or has been assigned to a permit holder, (b) be made by the producer on behalf of a midstream subsidiary corporate entity, either existing or to be incorporated. Nigeria flares an excess of 800Million standard cubic feet of gas a day from 178 flare sites, according to the Ministry of Petroleum Resources. The country’s power sector, however, struggles to get enough gas to fire the turbine capacity of 7,000MW. The government is hoping to use the regulation to bring more investment into the natural gas market. To achieve this, ministry sources say, there is need for improved oilfield practices and improved regulatory supervision. The new regulation contains higher penalty for gas flaring than currently obtains and contains an overwhelmingly large number of references to “The Qualified Applicant” and “Permit Holder” of Flare Gas sites, two entities that are largely unknown in extant Nigerian Petroleum ecosystem. The regulation says that the Department of Petroleum Resources may request a producer to provide Flare Gas Data and when that request is made, the producer shall provide such Flare Gas Data in the format required within 30 calendar days of the date of the request. 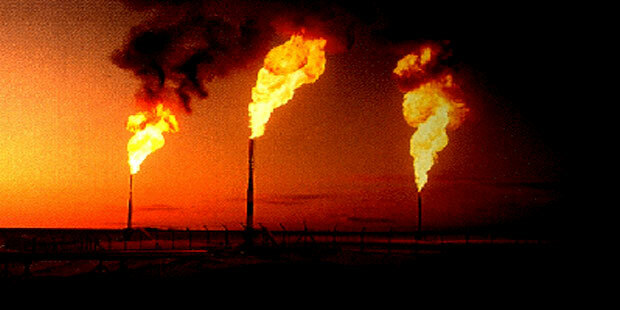 In the last 18 months, the MPR has called for data twice from flare gas producers. The Ministry will call again for data after the regulation has been gazetted. Any individual, in any company, that signs a letter conveying the data has a duty to ensure that the data is accurate. Any person acting on behalf of a producer, who supplies inaccurate or incomplete Flare Gas Data to the DPR or any other duly empowered lawful authority, will be liable to criminal prosecution, the new regulation says. Fuller details and discussions of the regulation are available here. ExxonMobil will lead the midstream segment of the Rovuma LNG project in Mozambique’s Area 4, according to a statement released July 9, 2018, while ENI will be in charge of the upstream aspect. A development plan, submitted to the government, details the proposed design and construction of two liquefied natural gas trains which will each produce 7.6Million tons of LNG per year. The world’s largest E&P company has, in effect, taken hold of the core of the largest natural gas development on course in Africa. 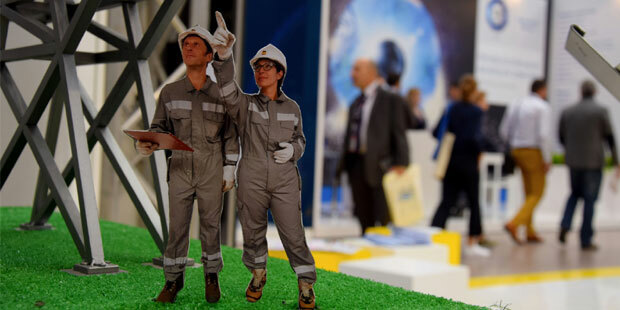 “ExxonMobil will lead construction and operation of natural gas liquefaction and related facilities on behalf of the joint venture, and ENI will lead construction and operation of upstream facilities,” says the statement, released in ENI’s headquarters in Milan, Italy. “We are excited to be progressing the Rovuma LNG project, working with the government and leveraging the expertise and capabilities of all of the partners,” the statement quotes Liam Mallon, president of ExxonMobil Development Company. A final investment decision is still a little bit in the future. The statement talks of possible sanction in 2019, but the hard work of securing sales and purchase agreements is ongoing and there are no binding agreements yet. Still, the partners are optimistic, citing a possible 2024 as date on which LNG production is expected to commence. Rovuma LNG is operated by Mozambique Rovuma Venture S.p.A., an incorporated joint venture owned by ExxonMobil, ENI and CNPC, which holds a 70% interest in the Area 4 concession alongside its partners Galp, KOGAS and Empresa Nacional de Hidrocarbonetos E.P. (ENH), each of which hold a 10% interest. Production of natural gas has started offshore Ghana, from two of the four deep-water subsea wells in the Sankofa field, connected to the Floating Production, Storage and Offloading (FPSO) vessel “John Agyekum Kufuor”. The gas producing part of the Offshore Cape Three Points (OCTP) Integrated Oil and Gas Project, is scheduled to provide 180Million standard cubic feet per day (MMscf/d) for at least 15 years, “enough to convert to gas 40% of Ghana’s current power generation capacity”, according to a statement by the World Bank. “After the final steps of commissioning of the offshore facilities, production will gradually flow via a dedicated 60km pipeline to the Onshore Receiving Facility (ORF) in Sanzule, where gas will then be compressed and distributed to Ghana’s national grid”, says ENI, the Italian giant who is the project operator. The headline price for sale to power generation companies is of $9.8 per Million British Thermal Units ($9.8/MMBtu), or roughly $9.2 per thousand cubic feet ($9.2/Mscf). The World Bank is heavily involved in the $7.7Billion OCTP project, largely because of this gas component. The bank helped devise a payment mechanism “that ensured all the receipts from the on-sale of the Sankofa gas to the power sector in Ghana flowed to a single designated account from which the private sponsors would be paid in priority for their share of the gas. Should there be any payment shortfall under the Gas Sales Agreement, the sponsors would be able to access an escrow account funded by GNPC with the equivalent of 4.5 months of gas sales ($205Million)”. “OCTP is the only deep offshore non-associated gas development in Sub-Saharan Africa entirely destined to domestic consumption”, ENI reports. “The project has a strategic relevance: gas from OCTP can help Ghana shift from oil-fueled power generation to a cleaner power source, with financial as well as environmental benefits, and contribute to the Country’s sustainable economic development”. ENI operates OCTP with 44.44%. Partners include Vitol 35.56% and GNPC 20%. The first well of the offshore Bahr Essalam Phase 2 project, offshore Libya, has started commercial production of natural gas. “This comes just three years after the final investment decision”, says ENI, the Italian major who is collaborating with the Libyan National Oil Company (NOC) on the project. Two further wells will begin production by the week of July 16, 2018. An additional seven wells will come on-stream by October 2018. 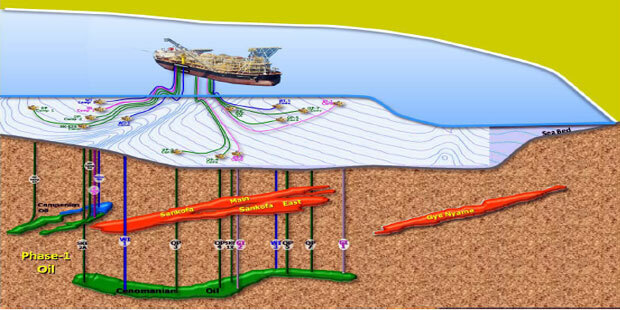 The earlier phase (Phase 1 ) of the project output 600Million standard cubic feet per day (600MMscf/d). Phase 2 of the project completes the development of what is the largest offshore producing gas field in Libya, increasing production potential by 400MMscf/d. It will be completed between September and October, bringing total field production to 1.1Billion standard cubic feet per day,(1.1Bscf/d). Bahr Essalam, located about 120 kilometres northwest of Tripoli, contains over Nine Trillion cubic feet (260Billion cubic metres) of natural gas. The current output is delivered through the Sabratha platform to the Mellitah onshore treatment plant before principally being used to supply the national network.